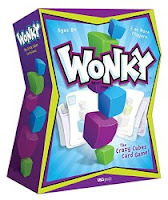 I'm happy to say Fiddlin' Dandi is the winner of Wonky: The Crazy Cubes Card Game! (You'll find my review at this link.) Thank you Dandi for reading grandma's cookie jar - please email me at lyndagcj@gmail.com by May 27, 2016 so I can have this game sent to you - and thank you USAopoly for sending one for me to review and for making another available for me to give away! 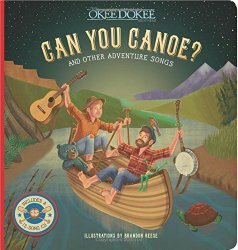 I'm very happy to say in two days on May 22, 2016 I am giving away the book, Can You Canoe? And Other Adventure Songs. You'll find the review and specifics for entering at this link - and the good news is, you still have time to enter! Who knows??? Maybe you will win!!! Thank you so much! I just emailed you!